Suspected Strasbourg Shooter Killed By Police, French Authorities Say The suspect had been the target of a massive manhunt since Tuesday's deadly assault on a Christmas shopping market. 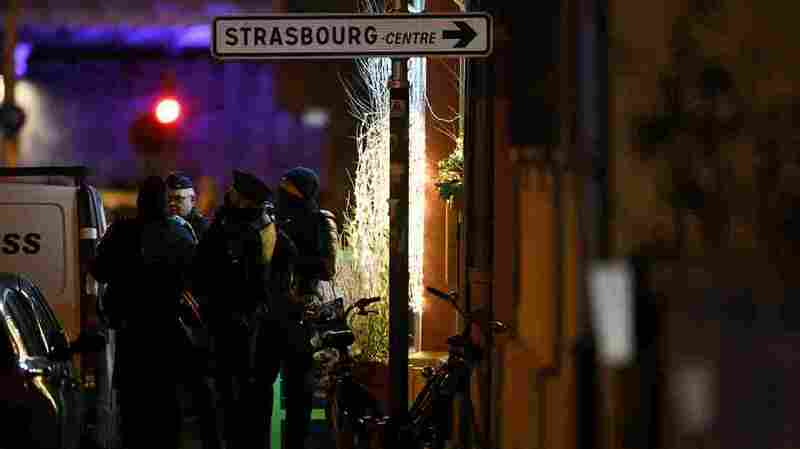 Police officers stand near the place where Cherif Chekatt, the alleged gunman who had been a fugitive since allegedly killing three people at a popular Christmas market in Strasbourg, France, was shot dead by police on Thursday. French authorities say the man suspected of launching a shooting attack on the Strasbourg Christmas market that killed three people and wounded 13 others was slain by police Thursday, ending an extensive two-day manhunt. The suspect had evaded police since the attack Tuesday night, despite a massive search involving hundreds of police and soldiers. The suspect, 29-year old Cherif Chekatt, was formally identified by the Paris prosecutor's office which investigates terrorism cases in France. Chekatt was a Strasbourg-born man with a lengthy criminal record who also had been identified as a security risk. "Around 9 p.m. local time three police saw someone strolling that looked like the suspect, the French interior minister said at a press conference. When police went to stop the suspect he turned around and began shooting. They immediately fired back, killing the man. "Identified as Cherif Chekatt, a Strasbourg native, he had a heavy criminal record and had spent time in prison in France and Germany. "French intelligence services had flagged him over concerns of religious radicalization. "Authorities consider the market attack an act of terrorism." Earlier in the night, French Interior Minister Christophe Castaner said a man matching Chekatt's description had been "neutralized" in a confrontation with three members of the National Police in the neighborhood of Neudorf. 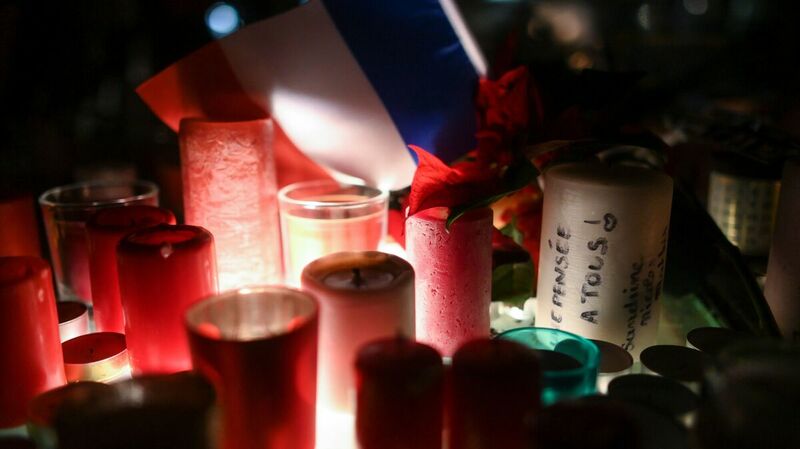 During a memorial vigil on Thursday, candles mark the scene of the Strasbourg, France, Christmas market shooting. Five people associated with Chekatt, including four relatives have been detained, according to the Associated Press. The French newspaper Le Monde reported that the Christmas market is due to reopen Friday. This developing story will be updated.